CPM (Continuous Pressure Monitoring) Software from AETC is the most advanced continuous cylinder combustion monitoring tool available today. This innovative solution utilizes cutting edge R&D technology coveted by the largest companies and organizations in the pipeline and waste water treatment industries. Developed with ease-of-use in mind, CPM puts the power of the tools (previously only available to reliability engineers) in the hands of the people that maintain engines on a daily basis, i.e. the operators, mechanics and technicians. 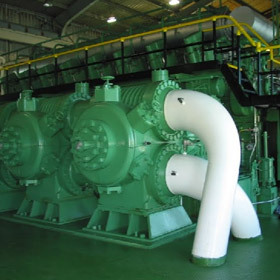 It therefore allows them to preemptively diagnose and address combustion issues before they cause costly failures, keeping the units running clean and at their optimum performance, and minimizing fuel costs while ensuring unit availability. 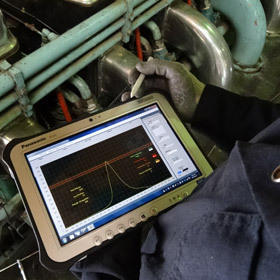 Additional CPM options include a wireless, handheld, ruggedized tablet. These are MIL-spec handheld tablets that the technician uses to view the CPM displays directly on the catwalk, and immediately in front of the cylinders that need to be checked and/or adjusted. 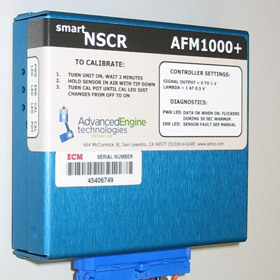 This allows a single user to balance an engine in a fraction of the time it would have previously taken using a single-cylinder type balancer. 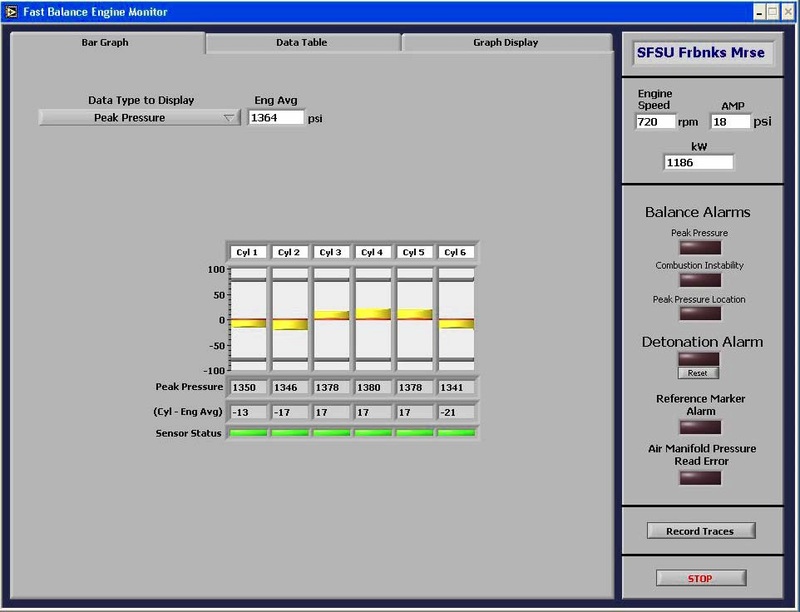 Not only does it take a significantly less amount of time, but because the user is able to view the whole engine balance at once, in real time, they are also able to achieve a better balance. In addition, because they have access to real time information on the combustion of the cylinder in front of them, they can immediately diagnose and fix other problems, such as pre-chamber, fueling or ignition-related issues. 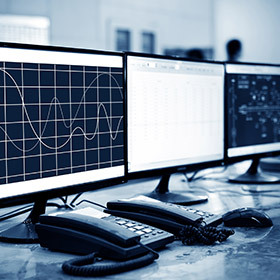 Advanced Engine Technologies Corp. provides engine failure analysis and testing as well as other mechanical engineering solutions to clients nationwide and globally.